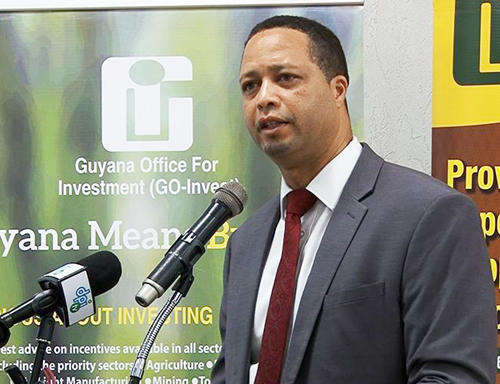 The Guyana Office for Investment (GO-Invest) has claimed that the political climate in Guyana has had little effect on investments coming to Guyana. This is according to the agency’s Chief Executive Officer (CEO), Owen Verwey, who told a press conference on Monday that the investment climate in Guyana remained the same. “It has not [had an impact]. If you realised your recent political development was 21st December. So, that would have been too late to affect anything that we would have been doing,” he stated. When pressed to state whether it has had an impact on businesses here, Verwey said it would be difficult to assess that, noting that GO-Invest has not had any negative feedback. 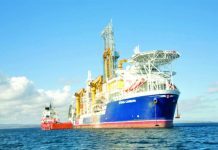 “In fact, I think the Guyana environment for oil and gas is so robust that everyone for whatever reason would want to be here,” the CEO told the media. However, Business Minister Dominic Gaskin has admitted to <<Guyana Times>>> over the weekend that local investment was being affected by the political situation resulting from the no-confidence vote. Gaskin said that the state of affairs is impacting local business investments, but claimed that foreign investors, especially those in the oil and gas sector, are not detoured. “I know that generally, local investors, if they sense that there is any sort of political uncertainty [are impacted], they are not the foreign investors, not the oil and gas sector or anything like that, but a lot of our local investors who may be planning a project or something,” Gaskin said. According to the Minister, the business community allows itself to be impacted, but he thinks there is no cause for concern or for panic, because Guyana is a mature democracy by now and has proven it is capable of handling these situations without hindrance to the economy. Although Gaskin assured that the ongoing political situation in Guyana would not affect foreign investors, diplomats of the American, British, Canadian and European (ABCE) countries recently met with Guyana Elections Commission (GECOM) during which concerns were raised about the impact the current situation could have on potential investment opportunities. In February, the Georgetown Chamber of Commerce and Industry (GCCI) said it had conducted a study following the passage of the December 21, 2018 no-confidence motion and has found that the looming political uncertainty has caused some 64 per cent of businesses to register some sort of decline. The Chamber on Monday said it was concerned about the effect of the impact of the associated uncertainty on the business community, adding that it was that level of uncertainty which prompted the survey to gauge the effect of the political environment on business performance. From the results, 64 per cent of respondents (or about two in every three businesses) experienced some form of decline owing to the uncertainty over the state of political affairs in Guyana. For those businesses which registered a decline in activity, approximately 85 per cent experienced a 25 to 50 per cent drop in the level of commercial activity. The remaining 15 per cent experienced 75 to 100 per cent decline in business. The Private Sector body noted that the significant decline in commercial activity was worrying to itself and its membership. According to the Chamber, the continued state of political uncertainty can result in further decline in economic activity. GCCI’s membership numbers over 240 business organisations from micro to enterprise level, located throughout the country and in Caricom. 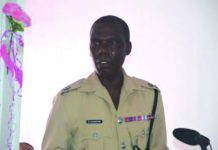 The passage of the December 21, 2018 no-confidence motion saw the A Partnership for National Unity/Alliance For Change (APNU/AFC) Government being toppled. 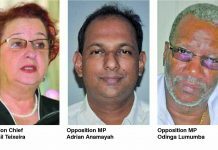 The motion was moved by Opposition Leader Bharrat Jagdeo and carried by a 33-32 vote, with AFC Member of Parliament Charrandas Persaud defecting in a vote of conscience in favour of the motion. No move has been made by the Government to have elections held within the constitutionally mandated 90 days. 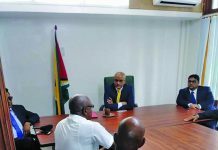 A recent meeting between President David Granger and Opposition Leader Jagdeo ended in stalemate, as the two have still not come to a compromise. Additionally, GECOM has since indicated that it will require at least five months to prepare. 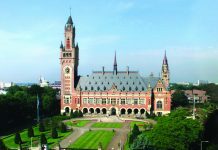 This move has been condemned by many, with observers accusing GECOM of ignoring its constitutional mandate to buy time for the Government.